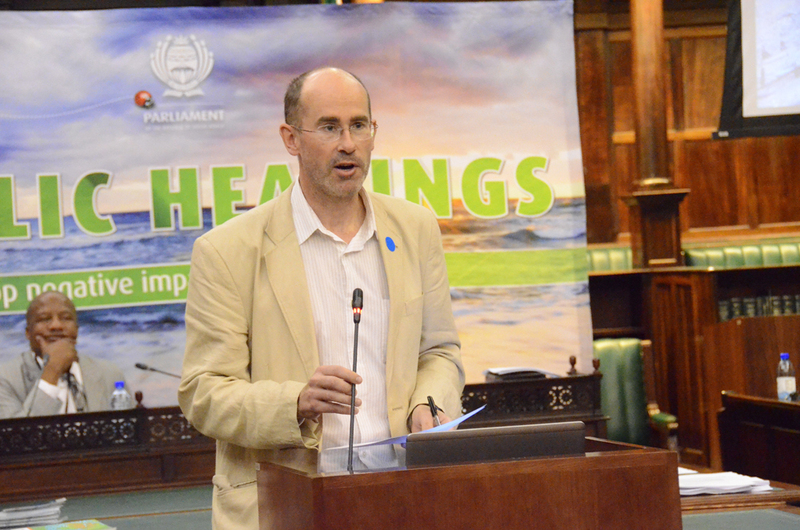 Fossil Free SA presents in Parliament: the Portfolio Committee on Environmental Affairs held a two-day public hearings process on climate change. The Committee received more than 30 submissions from interested parties and stakeholders on South Africa’s COP 21 position. Parliament held public hearings on climate change on 22/23 September, and Fossil Free South Africa made a submission to the hearings. This is the full text of our submission, which we presented in person as well, in slightly abbreviated form. Honourable chairperson, honourable members of the portfolio committee, negotiators, comrades, molweni nonke. I represent Fossil Free South Africa1 and Fossil Free UCT. I will provide a brief introduction to my organisation and the cause I represent. I will then critique two particular aspects of the discussion paper outlining SA’s position at the COP 21 Paris talks on climate change. 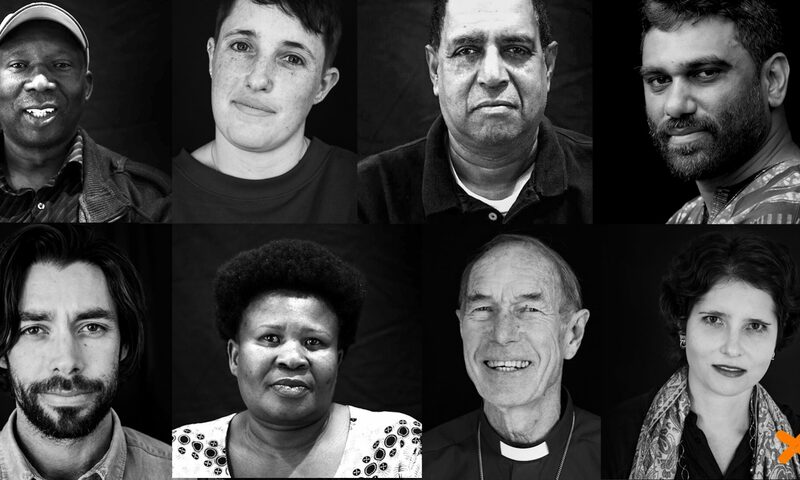 We endorse many of the calls you have heard already – for the most ambitious targets on emissions reductions, the calls for a just transition, the calls by Greenpeace, SAFCEI, Cosatu, Earthlife, WWF. Firstly, you may not have heard of us, so let me explain a little about Fossil Free South Africa. In March 1990, Nelson Mandela was released from prison, and three months later, he visited the United States, to thank those who had supported the struggle against apartheid, and to ask for continued pressure on the apartheid regime. On 30 June 1990, Madiba stood in Oakland, California, and there, speaking to 58,000 people, he said: “We salute the state of California for having such a powerful, principled stand on divestment.” And he praised the University of California, for also divesting from South Africa. Well, I must tell you today that 25 years later, the state of California is again taking a stand on the greatest human rights issue of our time – climate change – by starting its own divestment from fossil fuels. California, which has the largest population of any state in the US, and which is the eighth largest economy in the world, announced on 2 September that it is divesting its public employees pension fund from coal. California is divesting from fossil fuels, because fossil fuels cause climate change, and climate change is an immense threat to humanity and to our collective human rights. And also – to be quite frank – because coal is fast becoming a very bad investment and if your pension is invested in coal, you should probably sack your investment adviser. California is not the only entity to divest from fossil fuels. It is part of a movement of 30 universities globally, of hundreds of towns and cities like Seattle, Portland, of hundreds of churches, of the British Medical Association, the World Council of Churches…. all divesting from fossil fuels – because it is wrong – and also very risky – to be invested in fossil fuels. 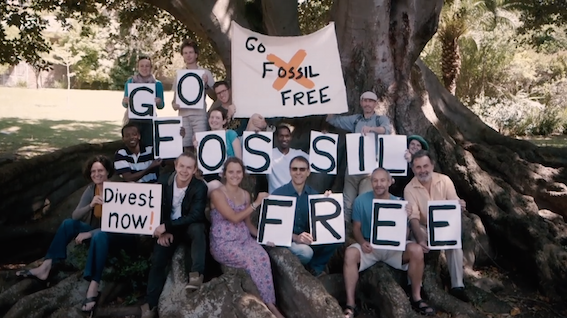 Fossil Free South Africa is part of the global movement for fossil fuel divestment, and reinvestment in sustainable energy, and we are working to persuade investors in South Africa that they should join this global movement. So, we come to South Africa’s position at COP 21 in Paris. We wish to comment on two issues. The first is the issue of what is a safe allowable global temperature increase. The second issue is a fundamental flaw in the whole thinking of South Africa’s position, not just in the climate negotiations, but in how we approach our development as a country. South Africa calls for enhancement of mitigation ambition, in accordance with the provisions and principles of the Convention with a view to achieving the 1.5 or 2 degree Celsius target. Well, which is it, 1.5 degrees or 2 degrees? We are told, by the Intergovernmental Panel on Climate Change, that “Africa is one of the most vulnerable continents to climate change and climate variability.” Therefore, surely we should be making the most ambitious possible calls for mitigation. South Africa says it supports the Africa Group position: that temperature increases should be limited to 1.5 degrees. But it should be remembered that even 1.5 degrees is not safe; it is simply less dangerous than two degrees, which many scientists increasingly agree to be a woefully inadequate target.3 There is no time here to re-hash now the many dangers of climate change, but to give just one example, the World Bank has estimated that a 1.5 to 2 degree temperature increase could see Sub-Saharan Africa lose between 40% and 80% of current croplands. There is no safe level of warming. The 0.85 degrees of warming we have had already are not safe for the 400,000 people already being killed each year as a consequence of climate change.4 By the way, a very large proportion of that 400,000 people are African and Asian children exposed to an increased risk of disease and malnutrition. 0.85 degrees of warming was not safe for the hundreds of thousands of Filipinos who lost their homes to Typhoon Haiyan. Christiana Figueres, executive secretary of the UN Framework Convention on Climate Change says, “Two degrees is not enough – we should be thinking of 1.5°C. If we are not headed to 1.5°C we are in big, big trouble.”5 And we know that big trouble for the world means even worse trouble for Africa. Because two degrees is acceptable to less vulnerable developed countries, but extremely dangerous to developing countries, agreeing to two degrees amounts to submitting to climate colonialism and climate apartheid, a betrayal of the people of Africa. I now come to the second issue. We want to challenge one of the fundamental assumptions of this document. There is a delusion deeply embedded in our assumptions, but also embedded in our national thinking about the environment, development and economic justice. This is the idea that that the climate and development imperatives must somehow be balanced, or that action on climate and environment must be limited to allow development. We say that we wish to end poverty in South Africa. We say we wish to end unemployment and inequality, and we say that to end these great evils, we need development. But then we choose a model of development that destroys more prosperity than it creates. We continue to labour under the illusion that somehow, fossil fuels are needed for our development, whereas in fact, the faster we phase them out, the faster and more secure will be our development. In South Africa, the poverty of our people is not an accident – it is a function of our past and present development models. Again and again, in pursuit of development in South Africa, we insist on turning to mining and fossil fuels and coal-power. But every time we create a coal mine that destroys the water and health and property rights of the surrounding community, we create poverty. Every time we create a mine that pours carbon dioxide into the atmosphere, we create poverty for future generations. Every time, we build another coal-fueled powered station, we kill people with air pollution, divert or pollute precious water, and lose the opportunity to invest in renewable energy that is cleaner, healthier, and creates more and better, safer jobs for our people. The idea that fossil fuels are indispensable for development and so must limit our ambition to stop climate change is a falsehood. It is, in fact, an argument made again and again by very powerful vested interests – the fossil fuel lobby – to support their continued business model, a business model that, let us have no illusions, essentially demands the complete destruction of human civilisation7 – the ultimate consequence of unrestrained climate change. I could talk to you all day about the direct destruction caused by the fossil fuel industry – the deaths due to air pollution, the water pollution, the wars, the campaigns waged against science, the corruption of governments… but let me speak briefly about Mpumalanga in particular. This is what we call development when we cannot see our way past fossil fuels. South Africa is intent on developing our coal resources at a time when the rest of the world is turning away from coal. In the past five years, 200 coal plants have closed down in the US.9 But this is not just a developed country trend. “Ten of China’s 34 provinces have pledged to peak and decline their coal consumption by 2017 and have banned the construction of new coal-fired power plants.”10 This year, the four coal power plants supplying Beijing have been shut down,11 and more than 1,000 Chinese coal mines will be shut down.12 The giants of the world economy are turning away from coal. So much for the damages caused by fossil fuels; what about the opportunities that we miss because we are investing in these old and dirty technologies? The Global Commission on the Economy and Climate, which is chaired by former Mexican president Felipe Calderon, and includes amongst its commissioners Lord Nicholas Stern, the head of the OECD, the CEO of Unilever, and our own former finance minister, Trevor Manuel, has concluded that “acting on climate change will not hurt growth and will in fact boost growth”. Here in South Africa, our own renewable energy programme is already saving us money and helping avert load shedding. According to the CSIR, wind and solar energy saved us R8.3 billion rand in savings on diesel and gas generation and in helping us avoid load shedding, in the first six months of 2015. We know that wind energy and solar photovoltaics are already the cheapest new sources of electricity for South Africa – and unlike the Medupi and Kusile coal powered stations, renewable energy projects are being built fast, on time and on budget. Fossil fuels are inherently limited resources. At some point, they either run out or become uneconomical to extract. When that time comes, then we have to find alternative energy solutions. This is an unavoidable reality. The question is, how much damage will we allow the fossil fuel industry to do before it comes to an end. I now come to my conclusion. Firstly, as I have pointed out, we cannot afford to forget that there is no safe limit for warming. Two degrees is highly dangerous, even 1.5 degrees is dangerous. But we do not need limit our ambition to limit warming, especially when mitigation efforts will only benefit us in a multitude of other ways. Around the world, 8 nations, 55 cities, 60 regions and 9 utilities – Denmark, Scotland, Hawaii – have already committed themselves to achieving 100% renewable energy. We should join them. It is wonderful that we already have ambitious renewable energy targets, but we should commit to a target of 100% renewable energy for South Africa. Renewed efforts should be made to put renewable energy in the hands of communities, as with the Ciskei wind project. We have the Working for Water and Working for Fire public works programmes. We should institute a Working for Trees and Carbon Capture programme to facilitate regrowth of natural forest: if countries much poorer than us, such as the DRC and Rwanda and Ethiopia can commit to similar programmes, then we certainly can too. The right trees in the right places stabilise soils, bring rain, bring wealth, and they remove carbon from the atmosphere. I speak here of restoring indigenous forests, not more plantations. We should stop entertaining the notion that we need fracking, a likely serious threat to our fragile water resources and a guaranteed threat to the climate. Companies like Shell, with no plans to limit their extraction of fossil fuels and with abysmal environmental records, are corporate criminals. A government that is committed to ending poverty and securing human rights should not be rolling out the red carpet to such companies, but rather chasing them out of the country until they commit to winding down their fossil fuel businesses. President Zuma said, in 2009, “For Africa, the impact of climate change is devastating, and will severely undermine development and poverty eradication efforts.” He also said that a global agreement “must recognise that solving the climate problem cannot be separated from the struggle to eradicate poverty.” He was absolutely correct. The fact is that many of the problems we face can be solved by solving the climate problem, by turning away from fossil fuels and choosing a cleaner, more sustainable, more equitable sustainable energy future. 6 Stakeholder consultation on South Africa’s position towards COP21, in Paris, France’, Department of Environmental Affairs, 2015.